This is just pure musical addiction. Hypnotic loops? check, retro computer game thing? check, pitch changes? check, cool? you know it. Sitting in my flat on a sunny afternoon with the windows right open, my headphones cranked up, and High Wolf’s album from 2009 Incapulco trying to induce me into some sort of trance is something I have enjoyed regurlarly of late. High Wolf is the moniker of Max who originates from France and has been releasing some intoxicating and hypnotic grooves (generally in the form of cassettes) for the last few years. I first listened to High Wolf in 2009 with afore mentioned album Incapulco; a hazy blend of tribal rhythmic loops, fuzzy keyboards and sun drenched guitars occasionally making way for peaceful bliss-outs. Max: I never write anything (I never learned how to write music), my music is some kind of spontaneous composition. Sometimes I do think a bit before recording, for example; I have some mood or feeling I'd like to express, or I think like let's try to use this kind of instrument with this specific effect. But it mostly comes while doing it. I record rhythm, loop, something to start with, and then I add layers and layers. The best pieces are done very quickly, it's like a huge brainstorm inside, when I record a layer the idea of the next one is coming and so on. Very exciting process, but sometimes it's harder than that, it doesn't come and then it's frustrating. After a few hours I listen to what I recorded and sometimes what I thought was great while I was doing it sounds very bad...in that case I delete a few layers and try again later or simply give up on that track. So actually most the thinking comes after recording, it's like should I keep this tabla layer? Would it be good to add some keyboards around there or should I keep this track like this? BTE: That's an interesting approach, it sounds like you do all the playing personally, how do you perform your music live? Max: I’ve never played solo live performance so far, (I’m) not really interested in that. The thing is, as I use a lot of different layers on my recordings it's not really possible to do that alone on stage. BTE: Do you feel you have an artistic advantage over some other artists because you're not trapped in the conventions of music it maybe allows you to see the reality outside of it? Max: Maybe... It has, for sure, a strong effect on my music. At first, before High Wolf, I was afraid to mix different instruments because I don't know anything about harmony...I was afraid to play guitar solos because I don't really know how to play...And then I started to get confidence and this new music (new for me) could begin. Everything is made with feeling, listening, there is nothing academic for sure so no barriers or obstacles now that I'm more comfortable with my way of playing. And as I play a lot I discover new things and become better every day, and still in my way of doing things. I learn alone so it gives a more personal touch to what I do than if I learned at music school, I guess. But there are some negative aspects as well. For example it's sometimes hard for people to jam with me because my guitar is strangely tuned and I can make weird stuff sometimes. Anyway the more important thing for everyone will always be creativity and inspiration and this is not taught in school. Max: Sylvester Anfang II : I played with two members of this huge band recently. With Glen & Hellvete in Ghent and with Ernesto & Bear bones lay low in Brussels. Both have released killer LP's on Kraak lately. Last Sylvester Anfang LP from Blackest Rainbow is great too, especially side B.
Yellow Swans : got a few stuff from Pete Swanson a few weeks back and I can't get enough of them. Cd on release The Bats & LP on Type are both perfect. Don't know any other band doing this kind of psychedelic noise / drone. Robedoor : the new one, on Important, is just insane. Harappian Night Recordings : this guy is just like the new Sun City Girls. I like how he uses global music patterns and I feel close to his ideas even though the result is quite different. Magic Lantern : just discovering the new LP. L'afrique radio vol 1 : A tape released and given to me by Paddy from Gnod, it's a compilation from various tapes from Morocco...Heard it first in Gnod's van and now I'm lucky enough to own it because it's unbelievable. Omar Khorshid : The best label in the world released a new double LP last month...After 30 seconds you wonder how you could live without knowing this music. Traditional music from Batak people in Sumatra : I stayed a couple of days in Den Haag in April and I stayed in a squat where this amazingly talented Zeloot artist lives...She played this CD, a major hit for me! Steve Reid : the news of Steve Reid's death made me listen to the "exchange sessions" LP with Kieran Hebden. Steve Reid was a great drummer. 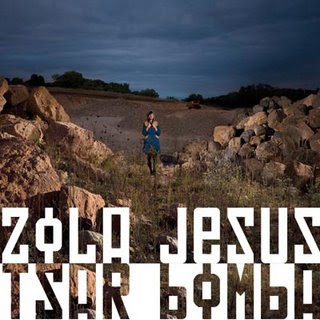 Here is a little widget of Zola Jesus's new single which you can either listen to or download (or both..). It's a nice dark little song and well worth a listen. It's not the most challenging song ever(TM) but not everything can be eh. 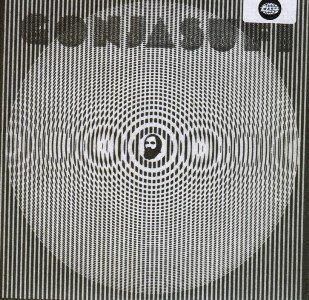 Earlier this year, Gonjasufi (Sumach Eck) released an intoxicating album on Warp produced by Flying Lotus (among others). The title A Sufi and a Killer is very apt insomuch as it encourages the image of two very different sides of Sumach's personality if not his music. The music is almost like a melting pot of references from wailing vocals reminiscent of Al Green to some Hindi Chants but it rarely feels forced, it's probably no coincidence that the music these vocals travel over often sounds intensely psychedelic. Have a listen to one of the tracks on YouTube here. Go on. Whilst travelling on a train that snaked under the belly of the city I had my first experience of Guanaco. And this seemed like the perfect place to absorb the gentle drones and picked guitar sort of working as a protective shield from the serpent-like shrieks of the trains brakes. All this seems a little pretentious, and, well.. It probably is, but I'm hoping it in some way helps the image of a sort of unstated and calm beauty that can serve as a neat distraction from everything that kind of swirls and races past. Listen to a few tracks on the myspace.